Our company provides full board tour services with guides, porters, cooks, assistant guides, tour manager, driver, helpers etc. If you are looking for hiring guide and porter for your individual needs and tour plans we will provide you experienced guide and porter on hire for your tour purpose. These all services comes under Premium Service of our company. There are some rules and regulations that have to be known by clients and maintain during their trip. They are government regulations as we provide licensed guides and porters. The guides do not carry luggage of any type. The guides are fluent in locale language and second language which is requested by client. The guides are trained and are experienced in your handling like trekking route, permits, and assist in boarding & catering etc. 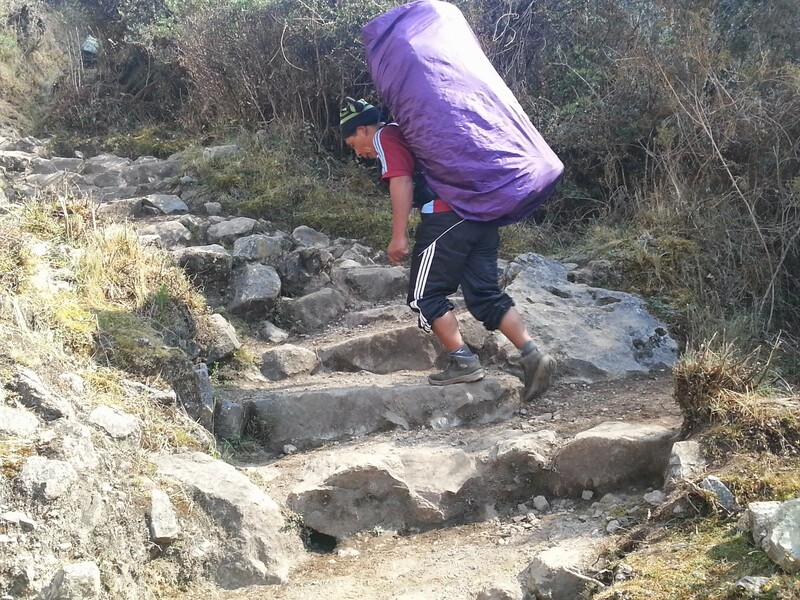 On the other hand porters speak limited English and their role is to carry your luggage. There is a limitation on load that every porters carry which is 20kg per porter.